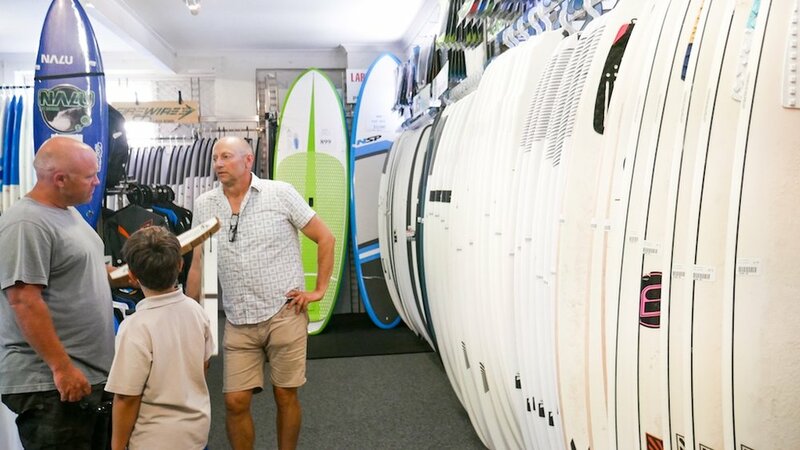 Come in and check out Willocks Surfs range of over 100 surfbords. 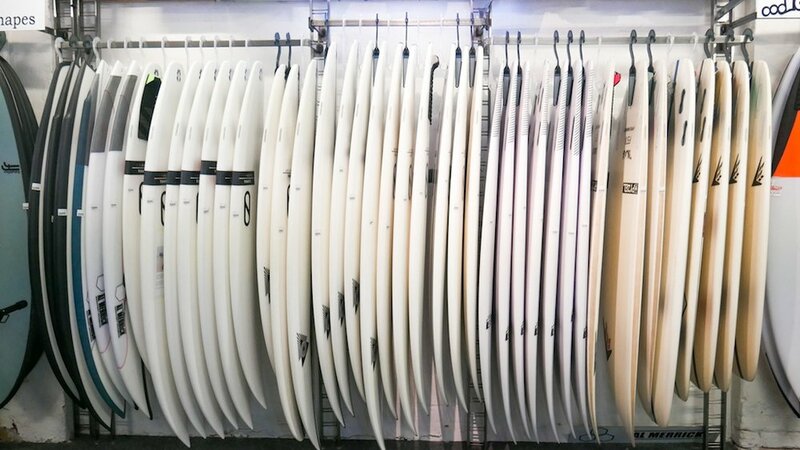 From learning to surf, to advanced signature models, you will definitely find the right craft to suit your needs. We love to chat and our experienced team are more than happy to solve any questions you may have, regarding board types, such as: construction, epoxy, PU, Polyester, EPS or carbon. We also offer a range of discontinued models at second hand prices starting as low as $300 in various sizes. In our large range of bodyboards you can find beginners boards for $69, to pro models from $300-$400. A number of last years models are offered at discount prices and we can easily have you set up with a leash, flippers and board bag. With numerous sizes and shapes from wave boards, to cruising. 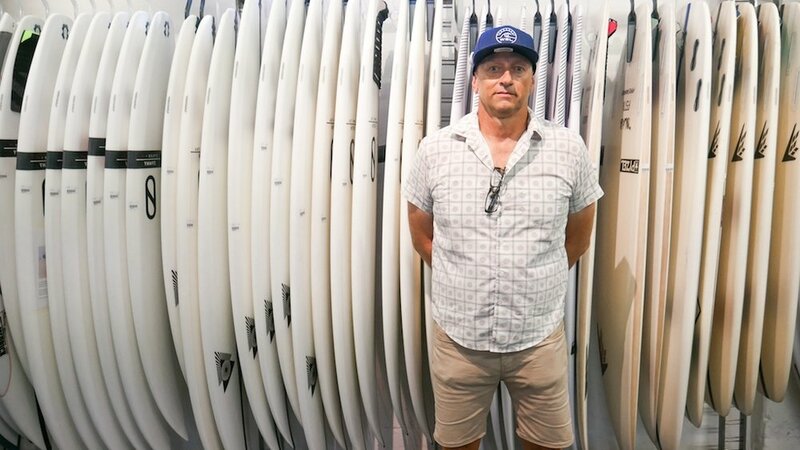 Speak to our team to find out which board would suit your needs best. We also stock board covers, leashes and paddles. Skatebording was developed in the 60s in California as an alternative for the Surfers to keep up their skills over the winter. Ever since, with the help of cult movies such as ‘Z-Boys’ and Lords of Dog Town, the skating phenomen has taken off. 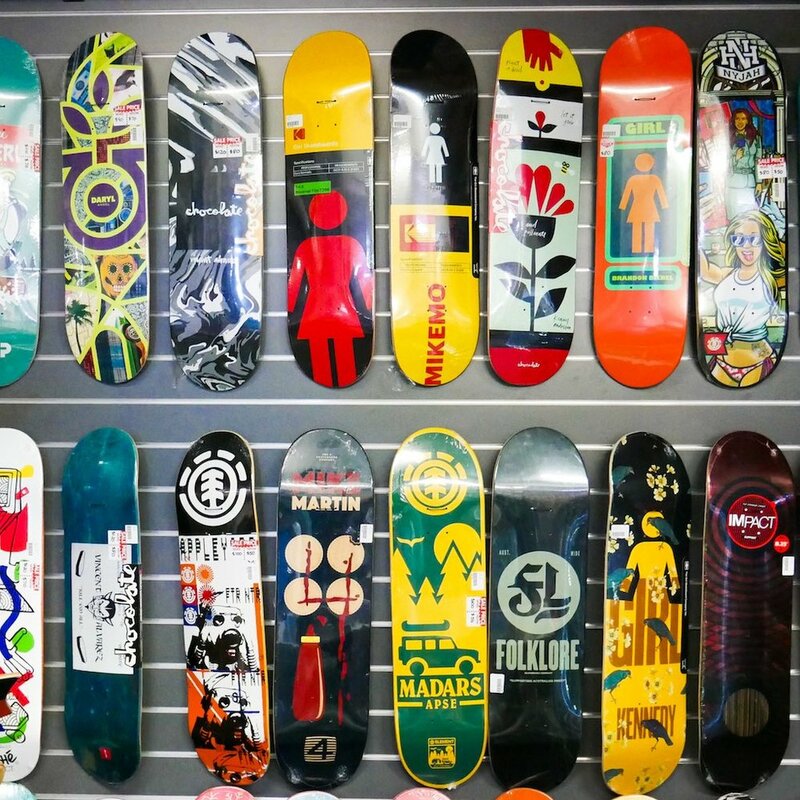 We stock all the major skate brands and spare parts. Board types include, those designed for ramps and skate parks, cruising, downhill and retro styles such as the Sector 9 longboards. We can fit your deck grip and give you a hand with any maintance such as changing bearings with our bearing press.